Need a Taxi/Minicab in Greenford UB6? If you ask someone or search online on how to get a minicab or taxi in Greenford, Silver Express Minicabs will be recommended to you. We Silver Express Minicabs are very well recognized for our quality and on time arrival service throughout Greenford. Silver Express minicabs have been given many titles like Greenford mini cabs, Greenford taxis and Greenford cabs by its respectable customers as it is the only reliable service operating in Greenford UB6 area with over 100 drivers. We Greenford minicabs provide one of the quickest and fastest local taxis from and to your home, Office, cafes, bars, restaurants, pubs, clubs, school with very reasonable fares. We have proven to be one the best minicab company in Greenford, UB6 area, with very positive feedback and genuine reviews by our customers. All our prices and fares are fixed regardless of the time and day, you will be charge whatever you have been quoted by our telephonists or by our online web booker. There will be no additional charges or hidden costs. We deliver a full range of minicabs and taxis, from Saloon car to 8 seater minibus. If you are travelling with friends or you have a bigger family than we Greenford minicabs can definitely help you by providing one big minibus to accommodate all of you along with your luggage. All our cars are regularly being cleaned inside and out, our cars are environmentally friendly and provides a tremendous cheap taxi in Greenford Over the years, many customers were asking about the removal companies in Greenford or a Van with a man in Greenford. Silver Express minicabs of Greenford now also provide a man with a van. Just call us now at 0203 917 8496 and we will send you our most helpful and polite driver with a van to help you move your goods from Greenford to anywhere in the UK. For a safe cab in UB6 Greenford , contact us today! On 0203 917 8496 or Book Online now. Silver Express Minicabs is also the leading airport transfer company providing services to and from Greenford to any London airports at very reasonable and affordable fixed prices. We specialize in providing airport hassle free transfers. We cover all major London airports including Heathrow, Luton, Gatwick, Stansted, and City airport. Greenford minicabs are also known for its punctuality and customer care throughout London. We have special fix fares from the Greenford UB6 to Heathrow airports and other London airports, regardless the time and day. We can quote you the excat fare for your journey at the time of booking. There will be no extra or hidden charges unlike other taxi companies. If you need a minicab in Greenford, or if you want a cab in Greenford to get to the Greenford station, if you require taxi from Vue Cinema Acton to get home in Greenford, if you in need of Taxis at the Bridge hotel in Greenford, if you have bought groceries in Greenford Broadway high street or you are in Greenford West way Shopping Center, just simply call us for the best minicab service and competitive rates. 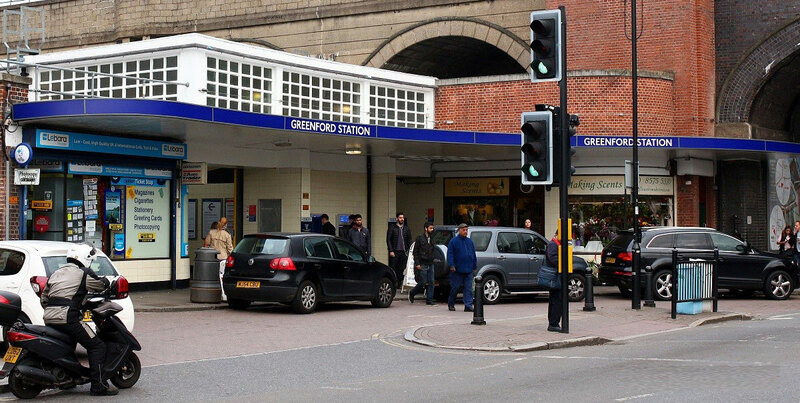 Our helpful and polite drivers will reach any where in Greenford in minutes to help you.